Asbestos Testing Norfolk, leading the way in promoting safety throughout the asbestos testing industry. As Norwich And Norfolk’s leading asbestos surveyors and testers. We strongly recommend that if you suspect any material that may contain asbestos, do not touch it. 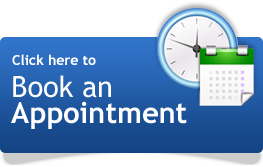 Get a survey by our asbestos testing surveyor. Asbestos Testing Norfolk should be your first call for all asbestos related concerns in the Norwich & Norfolk and surrounding areas. 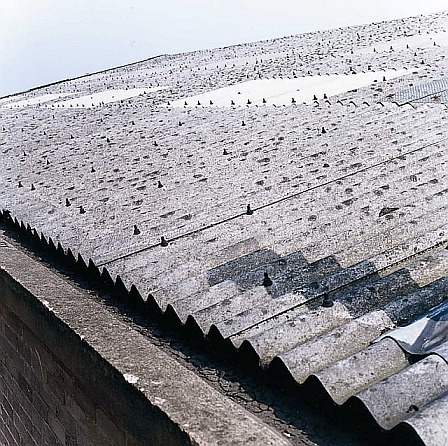 Artex and other textured coatings containing asbestos were still being used in construction in Norwich up until 2000, when all types of asbestos were banned. These materials are often found on the walls and ceilings of residential properties throughout Norwich and Norfolk. Asbestos Testing Norfolk look for signs of wear or damage such as tears, abrasions, or water damage. Damaged material may release asbestos fibres. Particularly true when you often disturb it by hitting, rubbing or handling, or if it is exposed to extreme vibration or air flow. The most common way for asbestos fibres to enter the body is through breathing. Unfortunately, asbestos containing material that is releasing dust or fibres into the air, they can be inhaled or ingested. Asbestos survey for contamination Norwich. Asbestos Testing Norfolk confirms If asbestos-containing material, such as artex is currently in good condition and contained such that fibres cannot be released, then it may not be dangerous at this time. However, a sample would be safely taken without disturbing the area and sent to the lab for certification. artex with asbestos contamination . Many homes in Norwich and all throughout Norfolk built before 1980 contain asbestos in places you would never expect. Examples would be like old floor tiles, ceiling tiles, roof shingles and flashing, and particularly artex. Asbestos Testing Norfolk have found newer homes may contain asbestos and vermiculite. Asbestos survey Norwich can quickly and safely give you peace of mind. Our surveyors are always be happy to discuss your surveying needs to help you fulfil your requirements in an efficient and effective way.including drone roof inspections. Asbestos becomes a hazard when it is airborne. 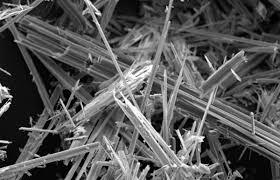 If asbestos in the home becomes damaged, asbestos fibres may be released. If the ceilings are in poor condition, air movement from ceiling fans and opening and closing draperies may spread asbestos dust. Artex survey Norwich will advise on blown ceilings containing asbestos, as they may release fibres when they are drilled or patched. 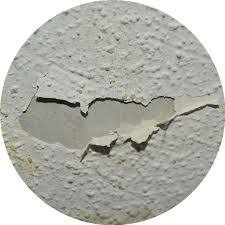 A lot of Artex textured coatings contain asbestos and as a result asbestos, in Artex can be potentially very harmful. We frequently carry out Artex survey and testing in Norwich to confirm the presence of asbestos our surveyor is UKATA Member of the association. On completion of our test we provide UKAS Lab Certification determining the presence of asbestos. Artex testing Norwich and Norfolk are a Norwich company, with surveyors based in Cromer, we specialise in artex and asbestos surveying. Asbestos Testing Norfolk are able to test all artex testing and asbestos issues from large scale asbestos testing projects to carrying out domestic asbestos surveys on artex in residential property’s throughout Norwich and Norfolk. 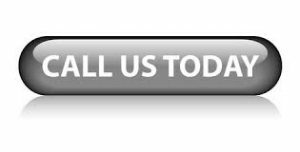 We have team that has experience and expertise gained working in all types of asbestos and artex testing. So if you have artex in your home, then we will have an asbestos qualified consultant who certify whether the artex is contaminated giving you the information to address the issue. Did you know Asbestos Testing Norfolk offer free advice. Asbestos testing for home-owners Norwich and Norfolk. If you have concerns about suspected asbestos in your home, our qualified surveyor will start by taking a sample without disturbing the artex. Our team will then test the artex / textured coating. This will involve sampling to find out is asbestos is present. We are commonly called in to look at the best course of action for asbestos garage roofs and asbestos sheds, floor tiling. Artex, asbestos textured coatings are removed under controlled conditions outlined by the HSE. This entails placing an enclosure around the area and using special safety apparatus. This is all carried out safely and professionally by Accredited artex and asbestos removers Many properties contain artex and other textured coatings on walls and ceilings which may contain asbestos. Providing these materials are left undamaged, the pose no threat to the health of building occupants. However, if you are planning building work, or even fixing something to your wall or ceiling that involves drilling or any other disturbance, you should know if the material contains asbestos before deciding how best to proceed. If I have artex in my house, am I at risk? Artex and other textured coatings contain asbestos, however the fibres are well bonded and not easily released. As artex is often found on ceilings it is not easily damaged in building occupation – providing the artex is not damaged or disturbed you are not at risk. Asbestos is only a risk to health when the fibres become air-bourne and you breathe them into your lungs, asbestos containing products can remain in properties undamaged without any risk to the health of the occupants. How do I know if my artex contains asbestos? Asbestos may be part of any commercial or domestic building which was built or refurbished before the year 2000, as all forms of asbestos were banned by 1999. The only way to be 100% sure is to have the artex sampled and tested by an asbestos surveyor. If you are planning to have construction or maintenance work done on your property, and the artex is likely to be disturbed, you should have a refurbishment and demolition (formally a type 3) survey done. This will test any areas that will be disturbed by the work, to identify if asbestos is present. If asbestos is found, this will need to be addressed and either removed or protected before work can commence. Asbestos Testing Norfolk strongly advised not to carry out any work on asbestos containing materials unless you have had the appropriate training, even for non-licensed asbestos work. If you do decide to proceed with non-licensed work yourself, you need to make sure you wear the appropriate PPE, and follow the correct working procedure. 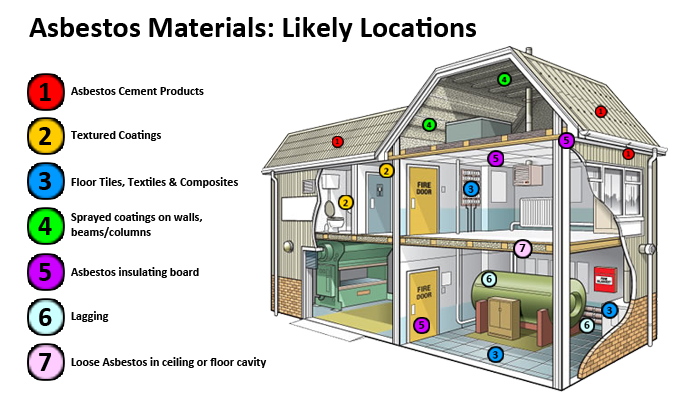 The HSE published a number of asbestos task sheets which are accessible via the website, with guidance that should be followed to minimise the risk to yourself and other building occupants. Licensed asbestos work is a significantly hazardous job needing additional precautions including enclosures, specialist respiratory protective equipment (RPE), monitoring, supervision, medical surveillance and should only be carried out by licensed contractors.